Okay… I know I can not be the only one who does this! The sun starts shinning and the inner DIYer awakens within me. I start planning for company, and start mapping out areas of my home that I think could use a little extra love. I start at Pinterest to get some cool ideas or what I would like to see… I could spend hours upon hours on here.. If my kids would ever allow it! I then start making a list of things I need/or want, things I can repurpose and a couple special pieces. I have always been the type of person that loves to save a dime anyway I can… Thanks Mom!… So I start by seaching out popular classifieds sites like Kijiji or Castanet… LOVE LOVE LOVE looking at the freebies… Scored a 1904 Bell Upright Piano this past weekend!!! Yes, for FREE!.. It’s beauiful, it plays, will be wonderful for the kids.. and did I mention, what a show piece! The detail is unbelieveably beautiful, they just don’t make instruments like this these days! So, if you haven’t already, take a boo at the freebies, you just never know what you what you might come across. But, before you go running to te nearest computer, or hopping on your smart phone to scour the net for some ideas, maybe take a walk around the house… Take an inventory.. (I usually do this while de-junking my home).. See what you like, what you no longer want and what needs to be drop kicked right into the trash. For the items that are in good condition, list them on the classifieds like kijiji, castanet or craigslist. For all of the items you sell, put the money aside, this can be your decorating budget… It can go towards things like painting or that special show piece. Next, move onto your junk pile. Discarded junk can be a great source of new and even unique home decorations. Repurposing and recycling things can save lots of money and help you discover new talents in creative handmade department. There can be so many things in places like basements and attics that can be redecorated and given a new life. Doing things yourself can also be a budget way of redecorating your home. Just look at how many ways a ladder can be used in home decor. To create headboard from junk look for old doors, shutters, painting frames, screens and other such stuff. In some cases you won’t even have to do anything with them except using them as headboard. In other cases you can repaint an old frame or sew a curtain to use as headboard on a curtain rod. Old mirrors can make for good headboards especially those with antique distressed frames. Old mirrors, dishes and boards make for creative wall decor. Arrangement is the key here so be sure to gather some of these items in different sizes and try a few arrangements on the floor before fixing them to the wall. Upholstered boards can add a pop of color and detail to the wall with bright patterns and prints. Old chairs and other dysunctional furniture items or furniture parts can be used as shelves, side tables, dressing tables, wall decorations and otherwise repurposed. Chairs can be pulled apart to create a necessary item with a new function and purpose. It can become a stool or a clothes rack. Trash cans, stacked suitcases and crates can make for great side or coffee tables or provide a base for them. Crates are extensively used in multiple numbers to create bed frames, headboards, seats and other various functional and decor elements. Suitcases can be used instead of storage boxes or repurposed to make a pet bed or a nightstand. And there you have it. 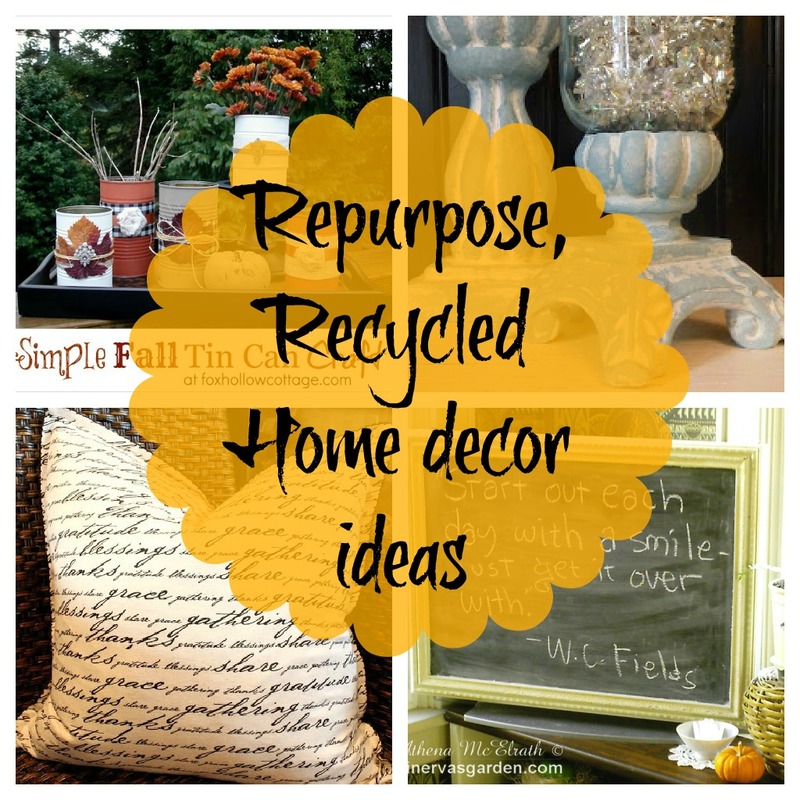 How to Re-Decorate Your Home – FREE! ← Kelowna Junk Removal – 3 Steps to Be Summertime Guest Ready!